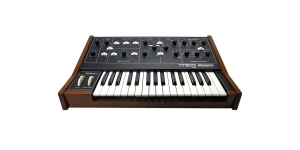 After the release of Minimoog it became clear that the synthesizer is not a huge cabinet you should drag to rehearsals but rather a small and elegant device. 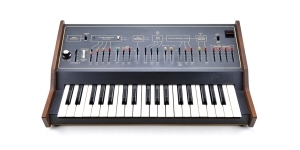 And ARP (and at that time the synthesizer market was reined over only by Moog and ARP) had to take urgent measures. 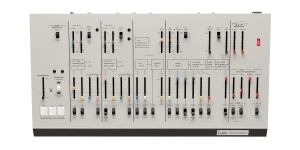 That’s how Odyssey appeared, kind of a miniaturized and simplified version of ARP2600 modular system. Two voltage-controlled oscillators (VCO) producing a sawtooth and a rectangular wave. Each oscillator has a separate octave switch and a built-in pitch tuner, which allows you not only to adjust the VCO to work within different octave range, but also to get the "detuned" bass and lead, as well as an interval sound. 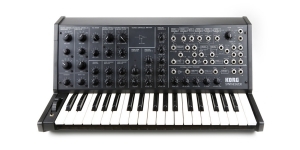 For each of the VCO, frequency modulation (FM) is available with a selection of a modulation source (LFO or sample&hold), and a pulse-width (PW) by an LFO or envelope generator. There’s also a hard sync ability. Sample&hold section comprises source selection switches (saw or meander in VCO1, meander in VCO2 or noise source) with level controls, trigger switch (LFO or keypress). 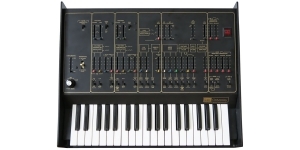 In the mixer section, the type of signal generated by each VCO (saw/meander) is selected while the level can be adjusted, and a ring modulator (VCO signal multiplication) or noise source with level setting is also available. 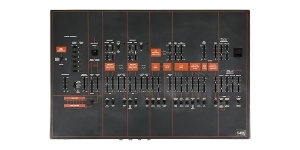 The voltage control filter section (VCF) in the first revision featured a two-stage architecture (ARP4023) with a slope of 12 dB per octave, late revisions were four-step (from 1975 to 76 ARP4035, after ARP4075), with a slope of 24 dB per octave . 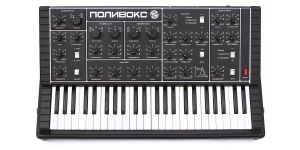 Cutoff, resonance and modulation depth control are available. 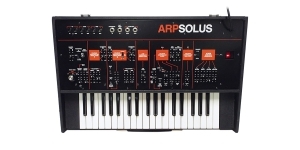 The signal of an independent ADSR or AR envelope generator, LFO and S/H can be used as a modulation source. The next section in the signal chain is the high pass filter (HPF). 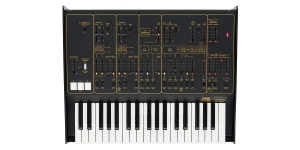 It comprises only the cutoff frequency controller. The Voltage Controlled Amplifier (VCA) section includes a source selection switch (AR or ADSR envelope generator) and an impact level controller. AR envelope generator offers sliders for setting the time of attack and release. 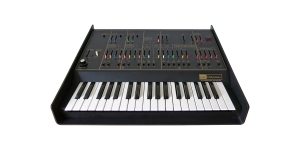 Running the generator is possible both from pressing the keys and from the square wave of the LFO. 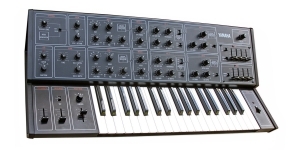 The ADSR envelope generator features four controls for entering tempo properties and two switches that allow you to select the startup mode (keyboard/LFO) and repeat mode (automatic or keyboard triggered). 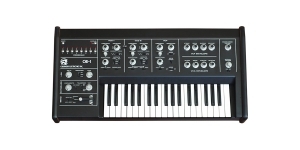 Modulatable low-frequency oscillator (LFO) produces sine and rectangular waveforms. 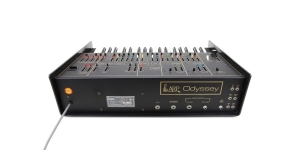 In 1976 (starting with model 2810) Odyssey was equipped with CV/Gate and Trig connectors, which added the possibility of instrument integration with modular synthesizer systems. 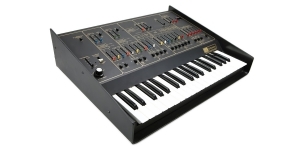 ARP Odyssey has been of great interest both for collectors and professional musicians. 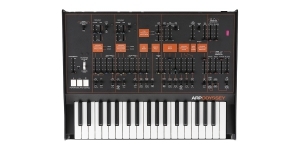 Among the high-profile names that can be associated with the sound of this synthesizer, you can recall: ABBA, Bomb The Bass, Ultravox, Gary Numan, LTJ Bukem, Air, Tangerine Dream, 808 State, Apollo 440, Nine Inch Nails, Astral Projection, Chick Corea, George Duke, Josef Zawinul, John Foxx, Vangelis, Elton John, Jethro Tull, Jimmy Edgar, DEVO, Sea Level, Boz Scaggz, The Starship, Kansas, Jean-Luc Ponty, Brand-X, Wigwam, REM And Herbie Hancock. 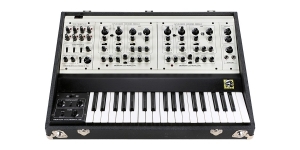 Synthesizer, Analogue (A), Voices: 2, Oscillators per voice: 1, Size: 3, Number of Keys: 37, Production start: 2018. 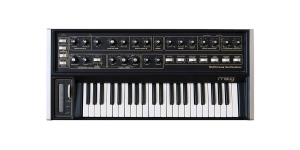 Analogue (A), Monophonic, Oscillators per voice: 2, Mini Keys, Number of Keys: 37, Velocity Sensitivity, Size: 3, Production start: 1978, Production end: 1983, Production ended: Yes. 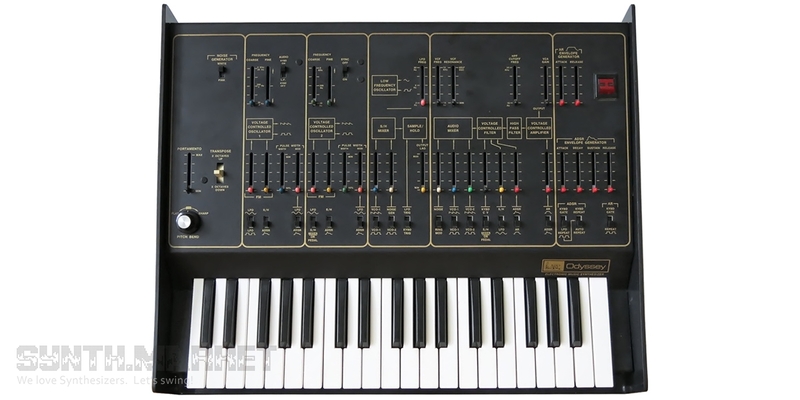 If you’re willing to possess Prophet 6 but all you can do is to watch other people playing it on Youtube, then maybe there is something that can help you. We talk about Pioneer DJ. And why exactly we talk about it you’ll find out in a minute.